If you are having drainage problems in your house, and you still can’t get rid of the constant flooding on your floor, perhaps it’s time to consider installing a sump pump. There are many causes of water accumulation in the basement of a house. It could be because of the soil around the house slopes towards the building or maybe, the water table is above the foundation of the house. Most of these problems can be eliminated by the use of a single pump. So, what is a sump pump? It is simply a pump used to remove accumulated water from the basement of a building, keeping the space dry. The pump operates under a simple principle; the water collects into the basin of the pump and is pumped out, away from the house. Like most appliances, the pump comes in different types, sizes and operation modes to accommodate various tastes depending on specific problem levels. 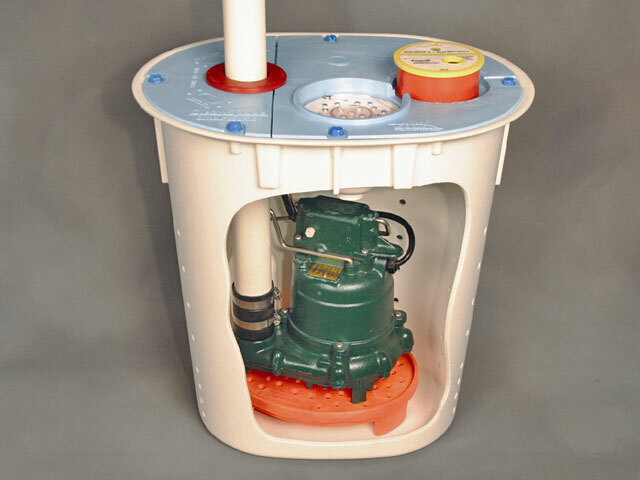 However, a standard pump will generally consist of a container (metal or plastic) which acts as the sump pit and a pump that is either battery or mains powered. Go for a metal container pump rather than a plastic one. The metal casing will help keep the pump from overheating thus lengthening its lifespan. To minimize the chances of burning the pump, choose a pump with a mechanically operated switch rather than a pressure switch. Finally, it is highly advisable to buy a submersible pump rather than the pedestal pump since it comes with a lid that helps reduce the noise. Sump pumps need to be checked regularly to ensure they run smoothly and efficiently. Always replace worn out mechanical float switches and remove any gravel or dirt that may clog the pump to extend its life. Though the pump may not solve all the water problems in your home, it will definitely go a long way to ensuring that your basement is moisture-free, at an affordable cost.